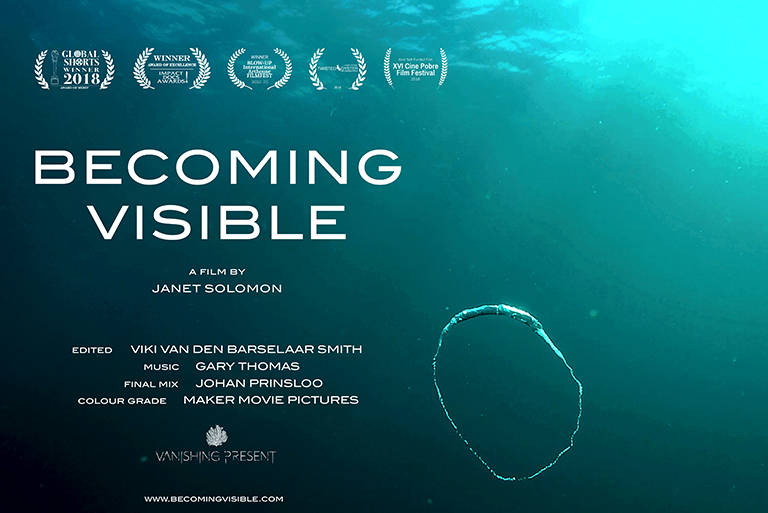 From acclaimed Durban artist Janet Solomon, this fascinating fusion of documentary and video art tells of the impact on local marine life by seismic exploration off the coast of KwaZulu-Natal. Projected on three screens simultaneously, the work is made all the more powerful by its idiosyncratic approach to documentary-making. Gorgeous cutting edge cinematography and careful investigation of a critical environmental issue makes Becoming Visible a must see. The Apartheid years were filled with tragedy – societal and individual. 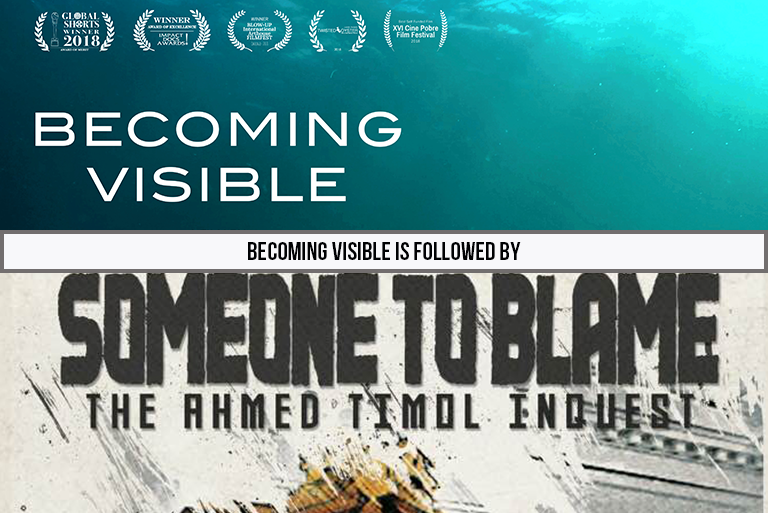 Director Enver Samuel in his documentary Someone to Blame – The Ahmed Timol Inquest, weaves a compelling narrative that draws on the 2017 re-opening of the inquiry into the brutal murder of Ahmed Timol who in 1971 died at the hands of the security police at the John Vorster Police Station in downtown Johannesburg, a death described by the police at the time as a suicide. For forty-one years after his death, and 16 years after his mother’s appearance before the Truth and Reconciliation Commission in search of closure, the circumstances that led to the young Ahmed Timol plunging from the 10th floor of the police station had remained shrouded in mystery. Someone To Blame constructs an intimate overview that speaks to and for the families and friends of many other South Africans who died in detention during apartheid and brings the story full-circle as a result of the re-opened inquiry. Ahmed Timol was honoured posthumously with the Order of Luthuli – awarded to South Africans who have made a meaningful contribution to the struggle for democracy, human rights, nation-building, justice and peace, and conflict resolution; and with the Isithwalandwe Award bestowed by the African National Congress recognizing outstanding contribution to the liberation struggle. The film was made with the co-operation and participation of Ahmed Timol’s family. Followed by a Q & A session with Enver Samuel, film director. “There is no doubt in my mind that during these proceedings we, as South Africans, will go through a door that will rekindle painful memories; a door that invites us to embark on a journey which will cause all of us to confront the sordid part of our history. That door will only close once the truth is revealed.” Judge Billy Mothle in his opening remarks at the re-opened Inquiry.